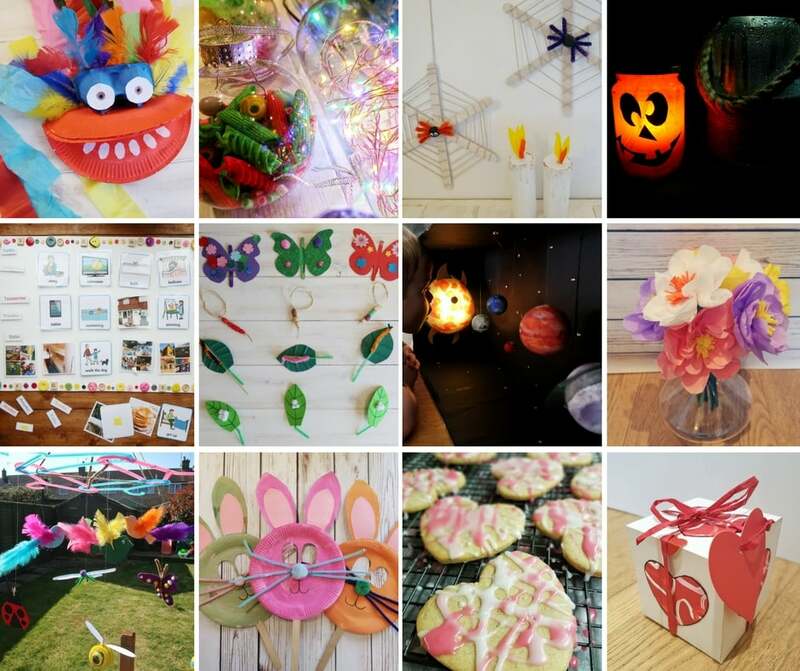 It is the last month of the year and this is my final #BostikBlogger craft post. The time has passed so quickly I have very much enjoyed sharing a different craft every single month. I really hope to keep up with the craft posts as I have enjoyed them immensely and I am proud of the things we have made. I would like to thank Tots 100 and Bostik for allowing me to take part. Bostik have sent some beautiful craft items and that has made the task a great pleasure. 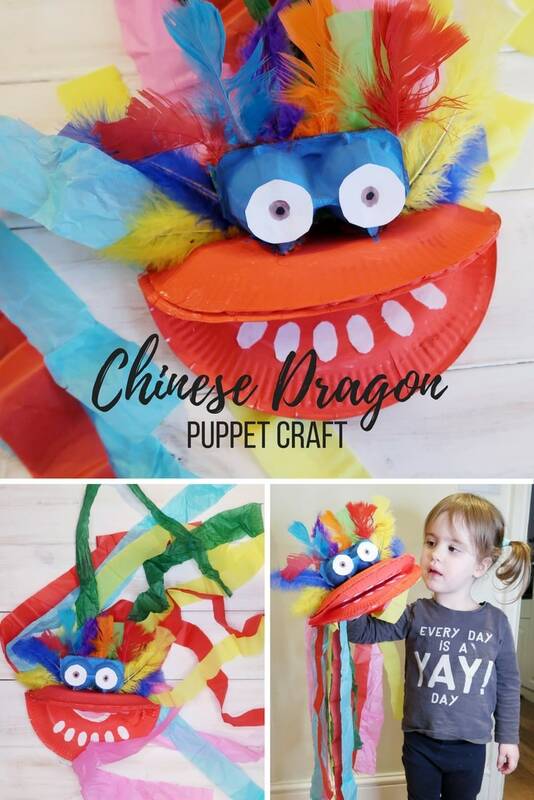 This month, the theme is Chinese New Year, and so we have made a Chinese Dragon Puppet. 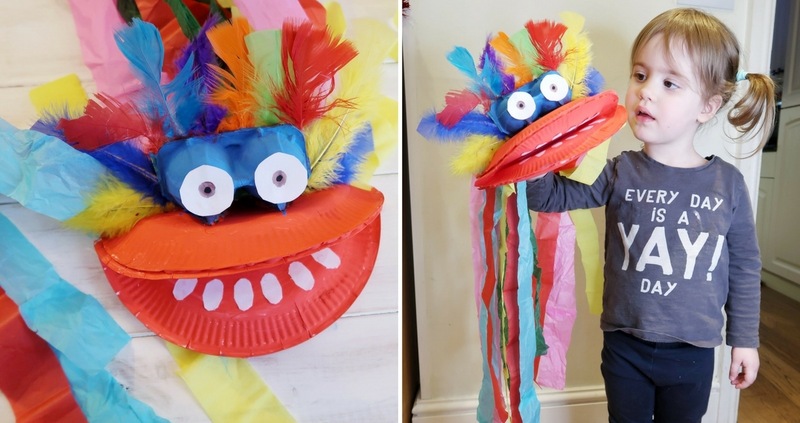 The children can join in with making this craft – and they will certainly enjoy playing with it and learning about Chinese New Year and Chinese Dragons. Cut one of the paper plates in half. 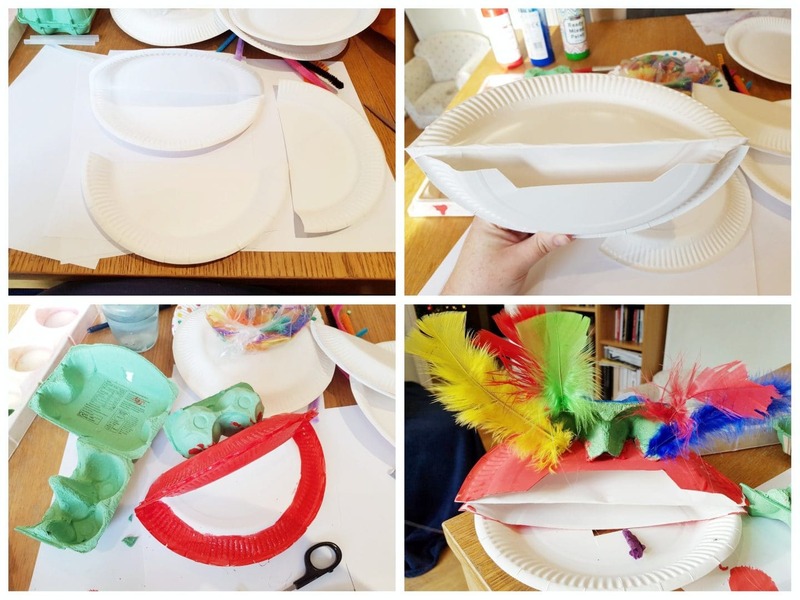 Fold the other paper plate in half so that the outsides are concave. Next, stick the two halves to each side of the folded plate, in order to create the dragon’s mouth. You may like to cut out a small slot on one side to make it easier to slot your hand in when using the puppet. The end result should look a bit like two Cornish pasties hinged together! You can also staple the plates together if you do not have glue that is strong enough. I used a glue gun. Next, cut out a section of egg-box and glue to the top of the plate puppet in order to make the eyes. Once the plates and egg-box are dry, you can paint them. I used red for the mouth/face and blue for the eyes. In order to finish off the mouth and eyes, I cut out paper teeth and white circles for the eyes and glued them on. In addition, I painted a pink tongue on the inside of the mouth. I also drew pupils on the paper eyes with marker pen. The next step is to cover the section behind the eyes with feathers. 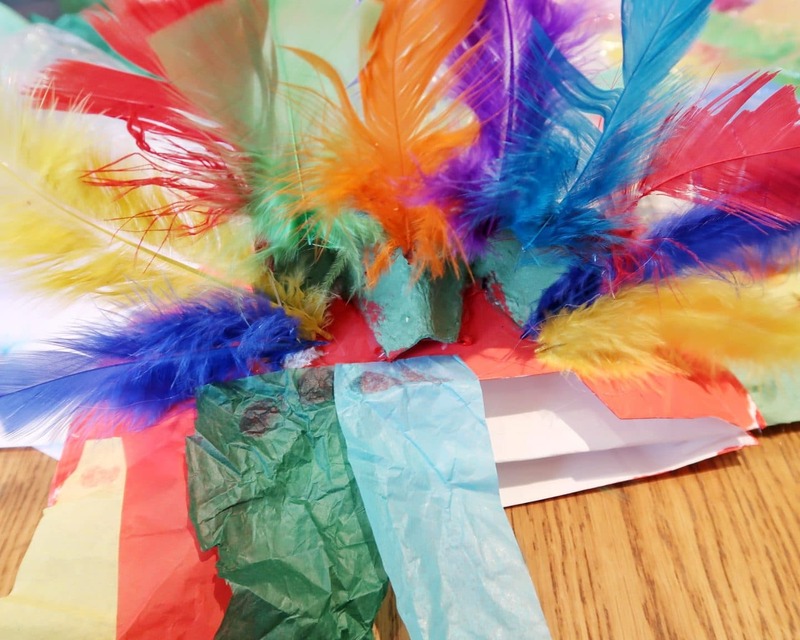 You could use other decorative items here – like tissue paper or pipe-cleaners – if you do not have any feathers. I glued a range of feather colours so that they spread out in a semi-circle around the eyes. Once the glued feathers are dry, the next step is to add paper streamers. Tissue or crepe paper will work best for this. Choose a selection of colours and cut into strips that are a similar length. You can choose how long you would like them to be – mine were around 60 cm. Next, glue the streamers onto the back of the dragon, along the back edge of the plate. 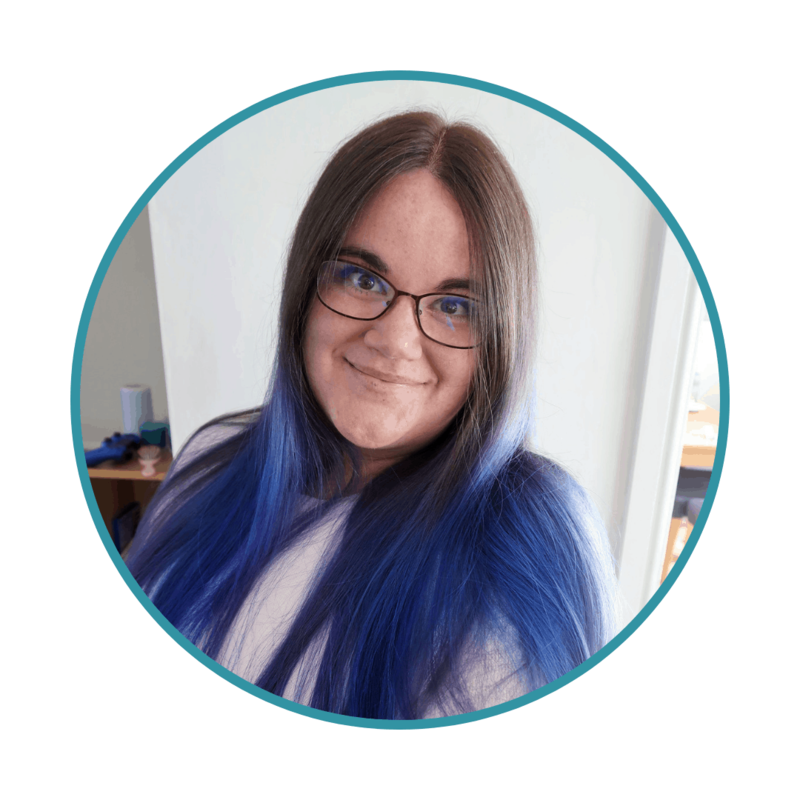 I used two layers – around 14 streamers in total. However, you could add more layers, and more colours, if you wish. Again, I used a hot glue gun but other glues, or even staples, would work just as well. 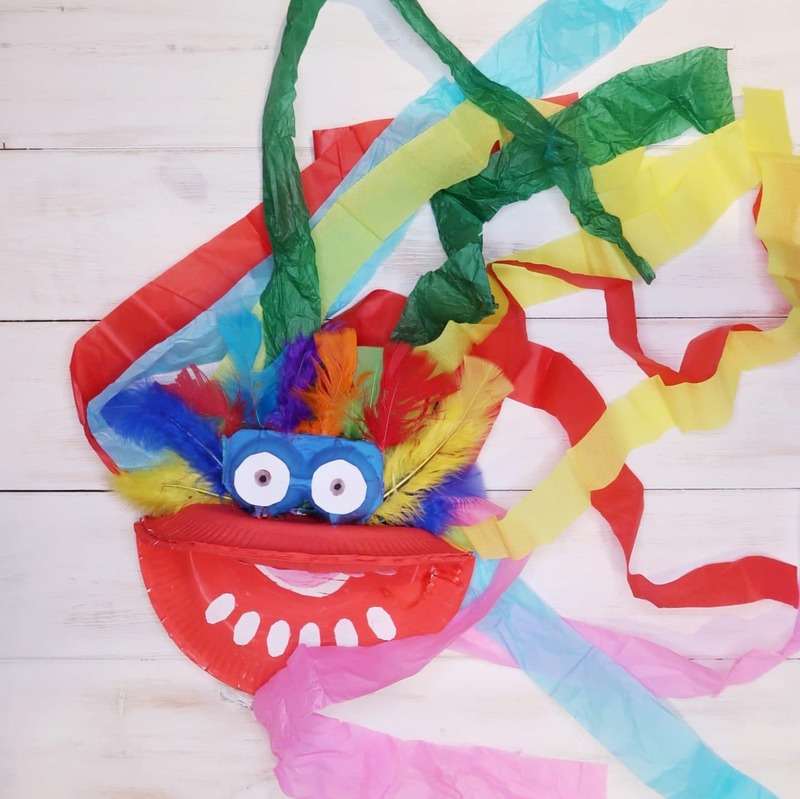 As soon as all the streamers are in place and dry, your Chinese dragon puppet is ready. Littlest had a high old time running around with the puppet in order to make the streamers fan out behind her. Chinese New Year is on the 16th of February this year. 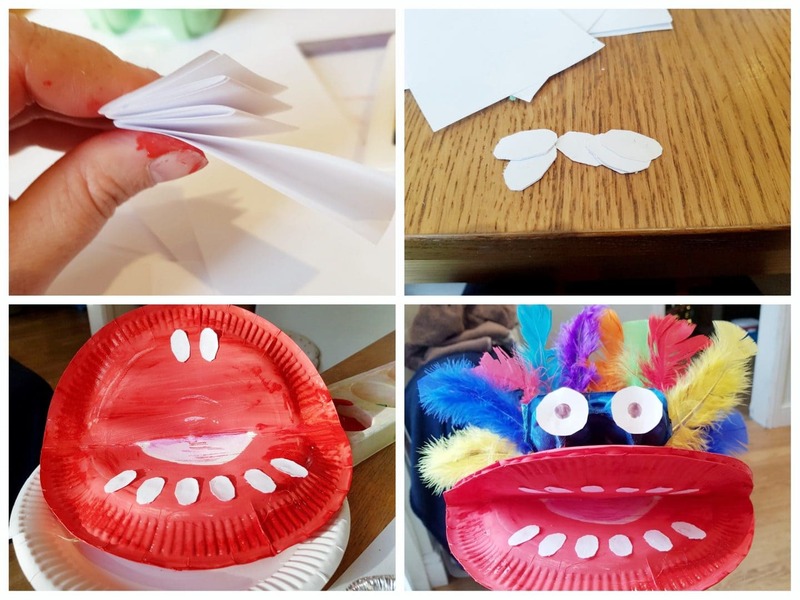 This craft would make a great activity to do to celebrate that event and teach children about it during the build-up. If you would like to check out the other eleven crafts that we made for Bostik this year, you can find them below. Please note, Bostik send us a selection of craft items each month, in order to create each craft.